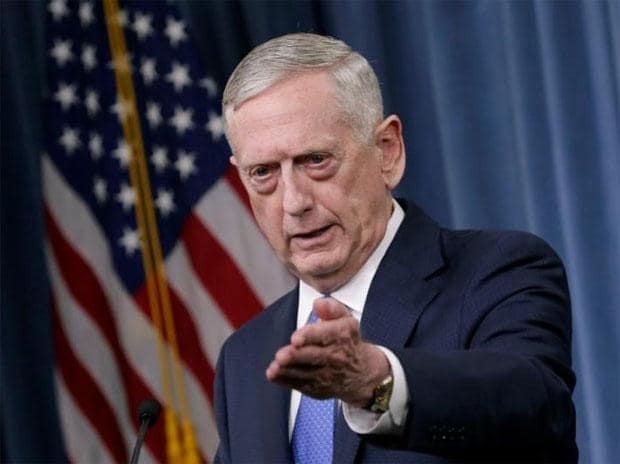 US President Donald Trump claimed on Wednesday that he had "essentially" fired Jim Mattis, even though the former Pentagon chief had pointedly quit his post over multiple disagreements. During a rambling monologue to White House journalists at the start of a cabinet meeting, Trump lashed out at his former defense secretary even as his replacement, Patrick Shanahan, sat at the president's side. "What's (Mattis) done for me? How has he done in Afghanistan?" Trump said, lamenting the ongoing Afghan security crisis and the amount America spends in the war-torn nation. "I'm not happy with what (Mattis has) done in Afghanistan and I shouldn't be happy," Trump said. "I wish him well. I hope he does well. But as you know, President Obama fired him and essentially so did I. I want results." It is common for Trump to turn on former staffers and make demeaning remarks after they've left their post, but the criticism of Mattis is notable as Trump had often touted his admiration for the man he called "Mad Dog Mattis." Mattis, a former Marine general, was head of Central Command when Obama fired him in 2013 over his hawkish views on Iran. Mattis resigned December 20, after Trump stunned the US establishment by ordering a full troop withdrawal from Syria. In his stinging resignation letter, Mattis made little attempt to hide his disagreements with Trump. "Because you have the right to have a Secretary of Defense whose views are better aligned with yours," Mattis said in the letter, "I believe it is right for me to step down from my position." Trump, who received multiple draft deferments during the Vietnam War, also said he thought he "would have been a good general.